Mrs May was set to put the withdrawal deal to MPs for a third time this week. She hoped that Brexiteers in her party and the DUP would back her deal as time runs out, rather than risk a possible long delay to Article 50, or even losing Brexit altogether. She was set to visit Brussels again this week for an EU summit on 21 March. Although MPs voted to take a no-deal Brexit off the table, the prime minister warned them that legally the default position, if parliament does not agree a deal by the Article 50 departure date of 29 March, is that we leave with no deal. And she warned that if they do not vote her deal through, Brussels could demand a long delay of two years or more that could also have tough conditions attached. 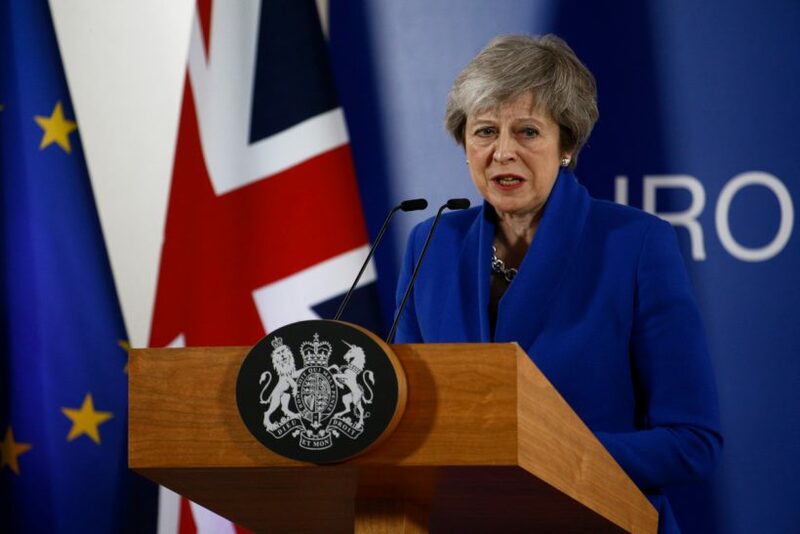 She told MPs, “If the House finds a way in the coming days to support a deal, it would allow the government to seek a short limited technical extension to Article 50 to provide time to pass the necessary legislation and ratify the agreement we have reached with the EU. But let me be clear: such a short technical extension is only likely to be on offer if we have a deal in place. She warned that a long delay would mean that the UK would have to hold elections for MEPs in May. A long delay, possibly of two years, would also give more time for Remainers to bolster their position, for a general election, and even for a second referendum. There is also the problem that the EU would have to agree to a withdrawal delay. EU leaders have stressed that they would need to know what the extension was for. They would probably agree to a short extension if parliament agrees a deal, to allow the technicalities of withdrawal to be completed, but otherwise would demand a much longer delay. EU negotiator Michel Barnier said that there needs to be a clear answer from Britain on what the way forward should be, before Brussels decides on any delay. He said: “What will their choice be; what will be the line they will take? That is the question we need a clear answer to now. That is the question that has to be answered before a decision on a possible further extension. A 30ft fishing vessel led by a pipe band passes the Millennium Bridge at the start of a journey that will end in Parliament Square on 29 March. 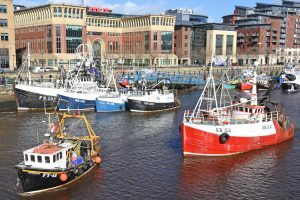 Fishing for Leave (FFL) organised an event on Tyneside on Friday last week (15 March) to highlight what it said was the ‘death sentence’ that Theresa May’s withdrawal agreement, or MPs thwarting Brexit, present to British fishing and coastal communities. FFL says it is throwing its weight behind Brexit groups – and increasing public calls, shown in new polling – for the government to scrap the ‘loathed’ withdrawal agreement, and for MPs to honour the Brexit vote by ensuring that Britain leaves the EU with no deal. 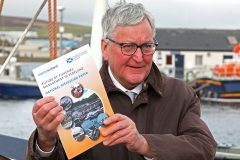 “The terms of the withdrawal agreement are an existential threat to fishing, and a total betrayal of Brexit and Britain. It means a second surrender of our industry and coastal communities, and places a constitutional bomb under democracy,” said FFL leader Aaron Brown. 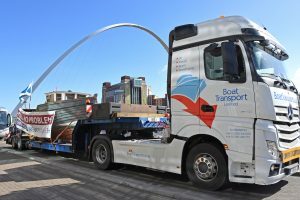 A 30ft fishing boat on a lorry, escorted by a pipe band, left North Shields harbour at 8.30am and arrived at Newcastle quayside at midday. At the same time, a flotilla of some 12 fishing vessels left North Shields and headed up the Tyne to the Millennium Bridge to join the boat, lorry and pipe band at Newcastle quayside. The parade then crossed the Tyne Bridge. Trawlers from North Shields moor up on Newcastle quayside at midday on Friday 15 March in support of FFL’s event to highlight the ‘death sentence’ represented by the current Brexit betrayal. The parade then headed to Jarrow for the start of the Jarrow March for Brexit – a modern-day repeat of the famous Jarrow Hunger March in October 1936. This was an organised protest against the unemployment and poverty in Jarrow and the NE region in the 1930s. Around 200 men marched from Jarrow to London, carrying a petition to the British government requesting the re-establishment of industry in the town. Brexit groups were due to set off from Jarrow on Friday, 15 March, to arrive in Sunderland the following day and then walk to Parliament Square in London, arriving in London on the Brexit departure date of 29 March – ‘a date that will be Brexit victory or betrayal day’, said FFL. 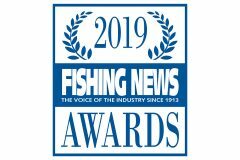 “The fishing industry will start this historic march of the British people to our capital to send a message to our elected representatives to obey our democratic instruction, and that our industry won’t accept a second surrender of Britain and our fishing,” said Aaron Brown. “We’ve hit a crossroads. This is our last chance to bludgeon MPs to stop this surrender of Britain, Brexit, and one of our country’s greatest renewable resources, one which can support generations to come in areas like the North East. No deal is better than this bad deal!